It was a safe bet that Kate "Hark! A Vagrant! 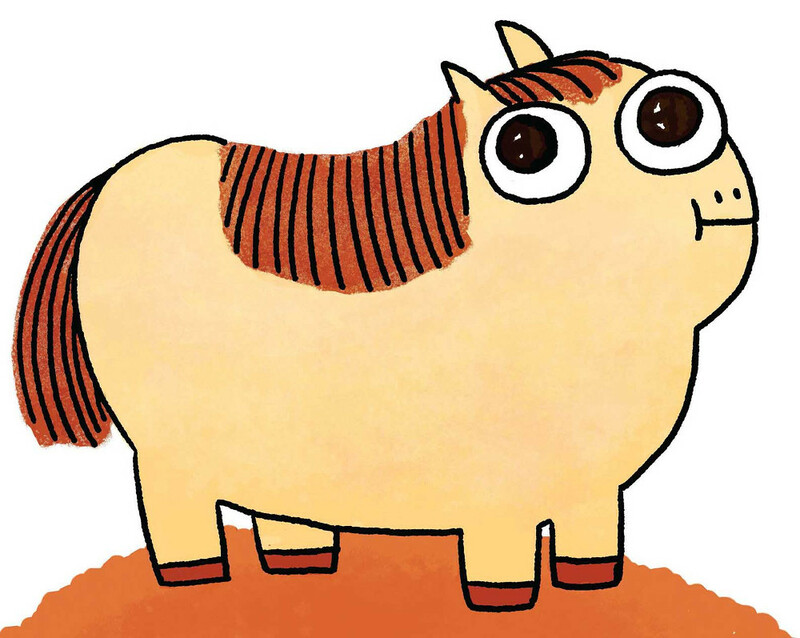 Beaton's first kids' picture book would be amazing, but The Princess and the Pony is incredible. Princess Pinecone is a the smallest warrior in a kingdom of warriors, and she lives for battle. But every year on her birthday, her parents give her a cuddly sweater. What she really wants is a mighty charger, from whose back she might smite other warriors. This year, Princess Pinecone put her foot down. She let it be known that nothing less than a huge, imposing horse would do. Unfortunately, what she got was a cuddly, funny-looking pony whose eyes point in opposite directions. It refuses to be trained for warhorse duties. She rides it into battle anyway. When Otto the Awful spies her on the sidelines and charges her, the pony just stands there, while Princess Pinecone digs for her spitballs. Then it happens: Otto the Awful screeches to a halt, unable to believe how TOTALLY CUTE the pony is. The mighty battle stops. The warriors crowd around the pony. They get in touch with their cuddly sides. So Princess Pinecone shares her supply of excess cuddly sweaters. And they all live happily ever after! Beaton is one of the sharpest, funniest comics creators in the business. Her witty, take-no-prisoners feminism is absolutely on display here, but she doesn't go for an easy girl-power resolution: instead, she lets everyone be both a badass and a sentimentalist. The spreads in this are amazing: the giant fight scene and the warriors in their sweaters? Perfection. It is the perfect, perfect book about girls, gender roles, and adorable ponies. I bought my copy at Los Angeles's outstanding Secret Headquarters, who also sold me one of Beaton's newly published Sketchbooks.